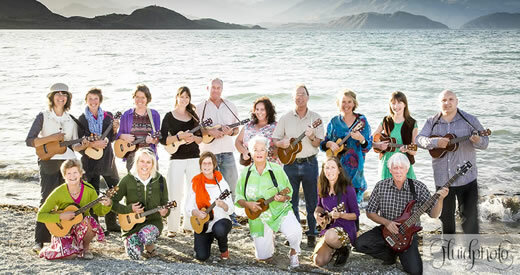 Wanaka Ukuleles is a band of merry uke players and singers who live in and around the beautiful lake and mountain resort town of Wanaka, on New Zealand’s South Island. There is something about the sound of ukes that bring smiles and a touch of magic to any event. It appeals to young and old alike. 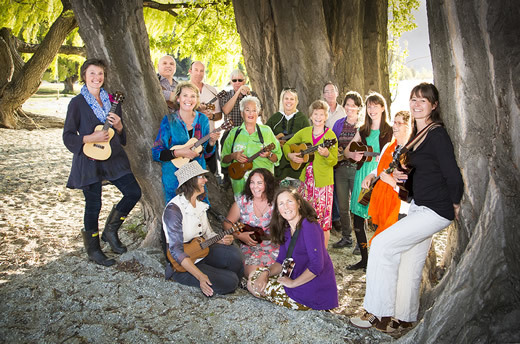 Ukulele music has enjoyed a revival in more recent times thanks to the likes of the wonderful Wellington Ukulele Orchestra and The Great British Ukulele Orchestra. And there shows no sign of the little flea jumping instrument loosing vogue any time soon. Every wedding is unique so when we play is up to you - or ask us for ideas.